Make every email a feedback opportunity via 'Smileys' in your team's email signatures or request feedback when you need it. Click on a face to provide feedback on my performance! Working with Hively is great. They do a great job of not only promoting good customer service, but of actually practicing it too! Hively is simple, cool and useful. We can truly quantify our customer happiness without dealing with an expensive, time consuming survey process. We love Hively. It gives us detailed insight into our customer satisfaction that we didn’t have before. We have completely eliminated surveys and we’re now using Hively for real time customer feedback. It is simple to use, very inexpensive and good feedback for on-going performance improvement ideas. Since Hively’s mission is to help increase customer happiness we knew their product would be a good fit for us. Hively is the simplest tool for gathering customer feedback we’ve ever used. Hively's smileys are a friendly and engaging way for your customers to leave feedback with just one click. You can collect feedback simply and inexpensively by adding the Hively snippet to your email signature, or via direct feedback requests sent from Hively. From Outlook, Gmail and Yahoo to Zendesk, Desk, Helpscout and Salesforce, Hively easily integrates with any email client, CRM or ticket tracking system you’re using. You only value what you measure and Hively gives you the tools you need to turn your feedback into a coherent picture of your customer's needs and your team's performance. 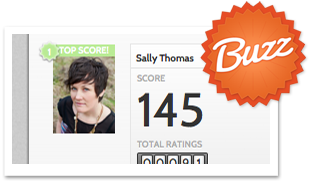 The Leaderboard lets you identify your top performing team members at a glance. Benchmarks show your overall performance and our powerful reporting tool lets you drill down deeply into the detail. Email summaries and notifications keep you up to date on all of your feedback. All of this comes together to help you build a deep understanding of your customers needs and how best to meet them. Whether you're using feedback to drive culture change, refine your product or services or increase customer retention, Hively has you covered. Our points system helps you to identify and acknowledge your top performers and feedback notifications help you catch issues as they happen and step in when needed. Understanding the trends and themes in your feedback will keep you on top of what matters most to your customers, resulting in improved retention and greater promotion of your brand. If you want loyal customers and a happy, high performing team, try Hively today!